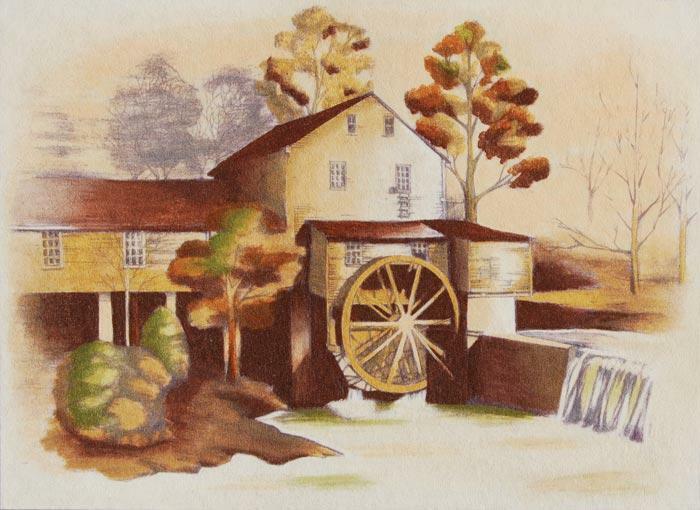 Mill Stream is a favourite rustic style and painted here using lovely neutral tones. Pre-shaded on non-woven bonded fabric. Requires colours: 1, 12, 14, 67, 84, 85.